Base price of the Vankorneft transaction is around $2.021 bln, while base price of the transaction on Taas-Yuryah Neftegasodobycha is $1.12 bln. 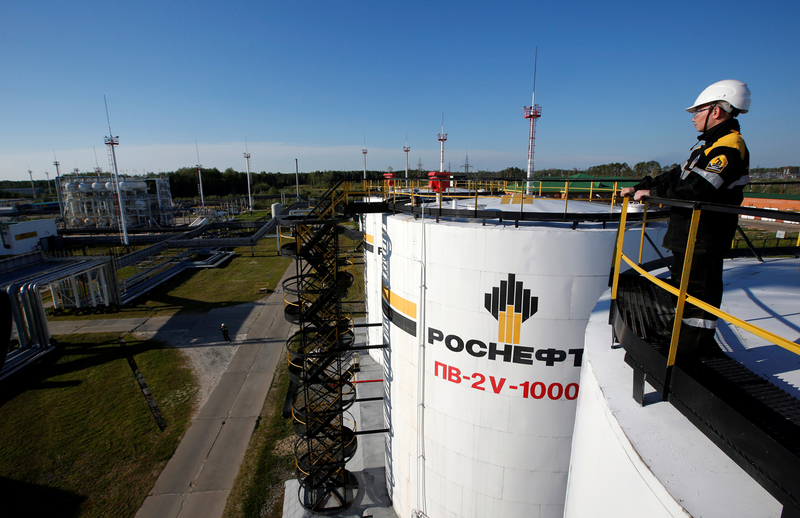 Russia’s top oil producer Rosneft and the consortium of Indian companies - Oil India Limited (leader of the consortium), Indian Oil Corporation Limited and Bharat PetroResources Limited - closed the transactions for the purchase of 23.9% of Vankorneft and 29.9% of Taas-Yuryah Neftegasodobycha, the company said in a press release on Wednesday. "Base price of the (Vankorneft - TASS) transaction is around $2.021 bln," or about 126 bln rubles, Rosneft said. "Base price of the transaction (on Taas-Yuryah Neftegasodobycha - TASS) is $1.12 bln (around 70 bln rubles)," the report said. "The closed transaction (on Vankorneft - TASS) is a symbolic one for the companies and marks the transition to a new level of cooperation in the Russian-Indian relations in the energy area. Indian companies obtain substantial interest in one of the biggest large-scale projects of Rosneft of the last decade, whereas Rosneft retains 61.1% shares in the project," the report said. Also, the company is preparing "to the closing of the deal for the acquisition of an additional 11% share in project by ONGC Videsh Limited (after the closing ONGC Videsh Limited’s share in Vankorneft JSC will reach 26%)," Rosneft said. Consequently, the share of Indian state companies may increase to 49.9%, the report said. Following the closing of the deal on the joint project of Rosneft and BP on the basis of Taas-Yuryakh Neftegasodobycha Rosneft will retain a 50.1% stake in the company. "Attracting strategic investors will give additional momentum to the development of Srednebotuobinskoye field, one of the largest oil and gas condensate fields in East Siberia, currently producing about 22 thousand barrels of oil per day. Partners within the joint project plan to create the infrastructure for further exploration and development of the reserves in the region," the report said. Earlier TASS reported with reference to its source that the consortium of Indian companies planned to invest around $5 bln in the Taas-Yuryah Neftegasodobycha and Vankorneft projects. The Vankor field is located in the northern part of Eastern Siberia, in Turukhansky District of Krasnoyarsk Territory, 142 km from Igarka. As of January 1, 2016, recoverable resources of the Vankor field stood at 476 mln tonnes of oil and condensate and 173 bln cubic meters of gas. In 2015, Vankor produced 22 mln tonnes of oil and around 10 cubic meters of gas. Taas-Yuryakh Neftegasodobycha develops the central part of the Kurugunsky license block of Srednebotuobinskoye field, located in the Sakha Yakutia Republic. Srednebotuobinskoye oil, gas and condensate field is one of the top three major assets of Rosneft in the Easter Siberian oil cluster.